Workshop held by Agupena Flores Timur Regency in order to celebrate its 1st anniversary on March 01, 2016. On March 01, 2016, Agupena of Flores Timur Regency celebrated its first anniversary. 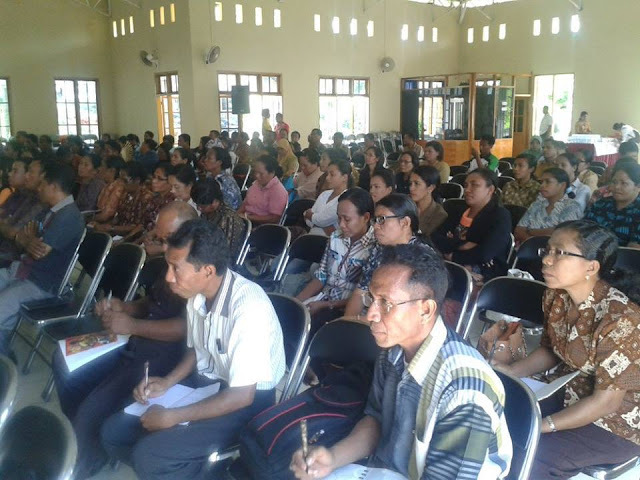 That moment celebrated by 250 teachers who are the members of Agupena Flores Timur Regency. 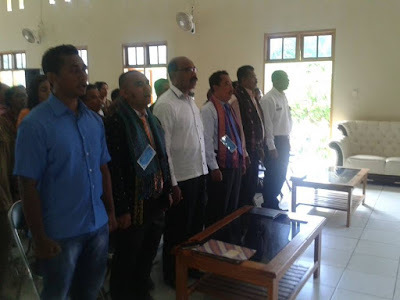 Besides that, there are Minhajul Ngabidin, S.Pd, M.Si, the head of LPMP of NTT Province; Drs. 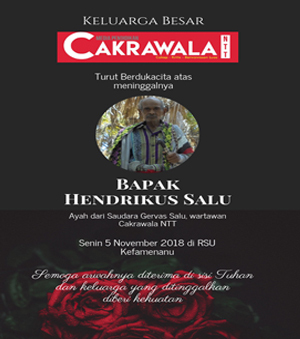 Bernadus Beda Keda, the head of PPO Department of Flores Timur Regency; Thomas Sogen, the head of Agupena of NTT Province; and also Agustinus Rikarno, S.Fil, the general manager of Media Pendidikan Cakrawala NTT. Maksimus Masan Kian, the head of Agupena Flores Timur Regency on his speech explained about things that have been done by Agupena. He said that it is difficult for the teachers to write, so Agupena comes to help the teachers in expressing their idea in form of writing. 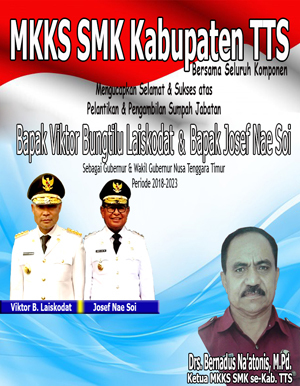 Maksi also gave thank for PPO Department of Flores Timur Regency who always support them. Maksi Masan Kian, Agustinus Rikarno, Bernadus Beda Keda, Minhajul Ngabidin, Thomas Sogen on the celebration of Agupena Flores Timur Regency anniversary on March 01, 2016.